We welcome you to Northern Colorado and hope to make your visit here as relaxing and enjoyable as possible. We do our part while we have you in our clinic, however we hope you will also have time to explore the area. 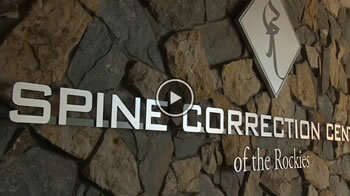 Click here to view hotels within one half to three miles from Spine Correction Center. Be sure to check out their patient discounts. Click here to view restaurants within walking or hotel shuttle distance. Safeway grocery store is a three-minute drive from our office at 1426 E. Harmony Rd. There are several shopping areas within walking distance of our office, including Kohl’s and Sam’s Club across the road. Foothills Mall is three miles away and The Promenade Shops at Centerra in Loveland is definitely worth the 20-minute drive. Old Town, in Downtown Fort Collins, is a 10-minute drive from our office. Check out a bike free from the Bike Library and ride through Old Town to check out the many shops and restaurants. Fort Collins Natural Areas for walking, running, hiking, and biking. Estes Park for walking, running, hiking, shopping, and dining. Horsetooth Reservoir for walking, running, hiking, and biking. For more activities and ideas in Fort Collins click here. Click here to view all restaurants in our area via Google Maps. Unit D, 1001 E Harmony Rd. Unit 2, 931 E Harmony Rd.